Call Us:(248) 559-6289 Welcome to Golden Sun Jewelry! 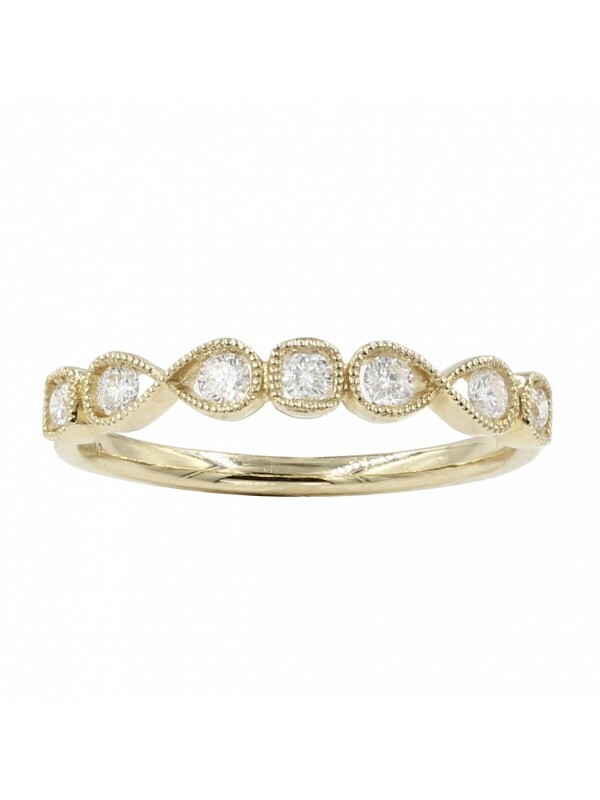 This beautiful 14k Yellow gold diamond band can be by itself, or stacked to create a simple & elegant look. It has 0.25ct of round cut diamonds that are pave & bezel set in square and teardrop shape bezel, finished with milgrain details.